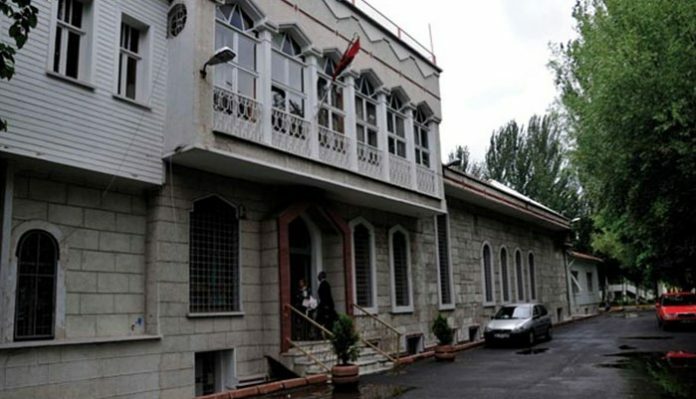 Armenians who were leaving the Narlı Kapı Church in İstanbul on Sunday were stoned by a group of children who chanted “Death to you,” the artigerçek news website reported on Monday. An ultranationalist group recently attacked the funeral of the mother of jailed Peoples’ Democratic Party (HDP) deputy Aysel Tuğluk in Ankara, saying that they would not let “Kurds, Alevis or Armenians be buried in the cemetery.” The body of Tuğluk’s mother was removed from the grave following the attack to be buried in Tunceli province. Religious and ethnic minorities have increasingly been the target of hate speech and racist attacks in Turkey. Racist graffiti which read “May the Turkish race live” was scrawled on the courtyard wall of an Armenian school in İstanbul last September. More anti-Armenian graffiti that said “Suffering to Armenians” was painted on the wall of the same school on the ninth anniversary of the murder of Turkish Armenian journalist Hrant Dink. An identical message was also written on the wall of the Surp Haç Ermeni High School in the Bağlarbaşı neighborhood of İstanbul. “Suffering to Armenians,” the message read. This article originally appeared in Turkish Minute on Sept 18.